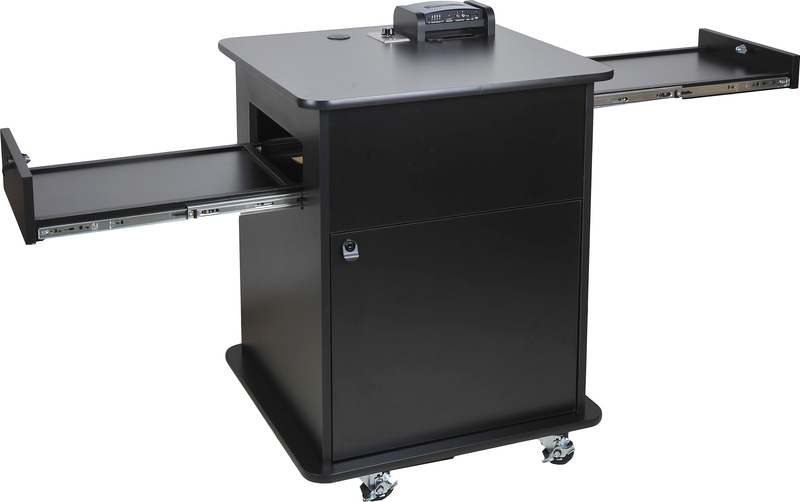 The ALL NEW, All-in-One ECARTMX-80 Classroom Cart allows you to connect your laptop, projector and even your favorite ELMO Document Camera to one convenient location. 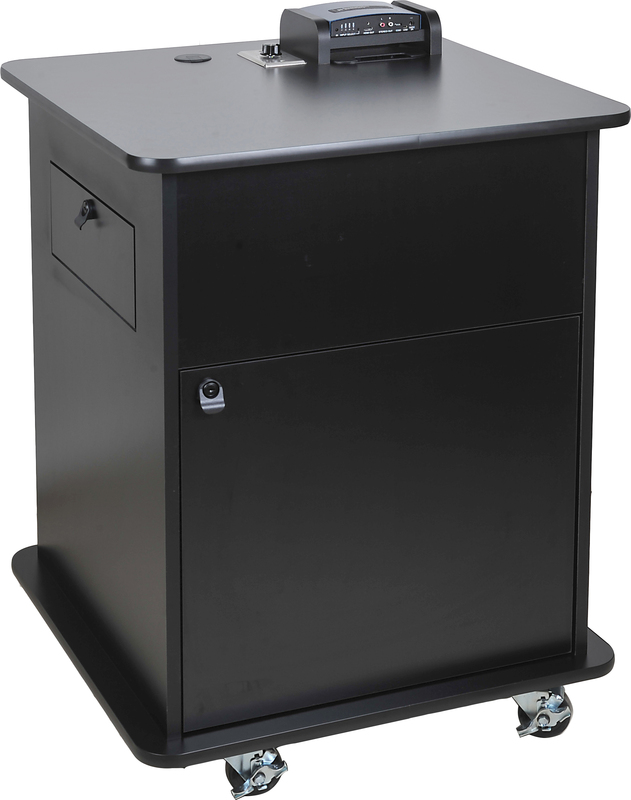 The two slide-out equipment shelves can easily retract for easy storage. 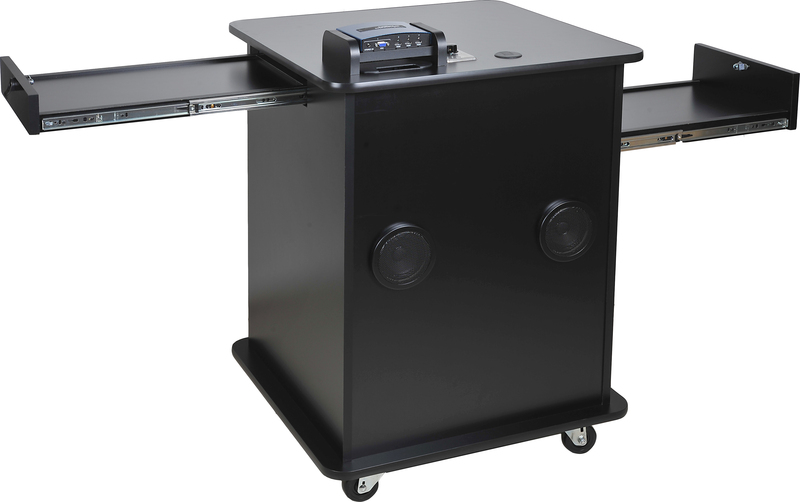 It also includes a PS111 switcher with HDMI/VGA inputs to simply switch between devices. 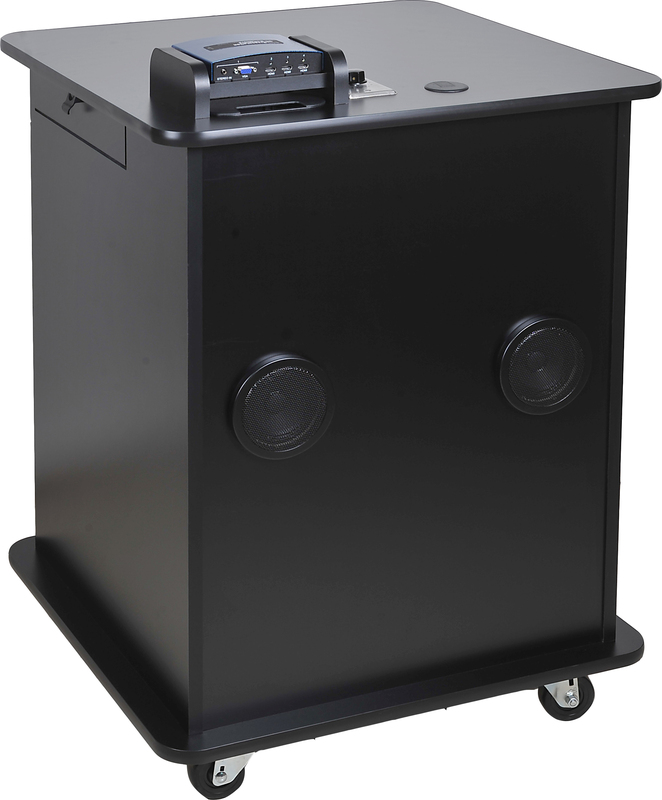 There are two integrated 5” speakers and a 25W amplifier for amazing built-in sound quality. 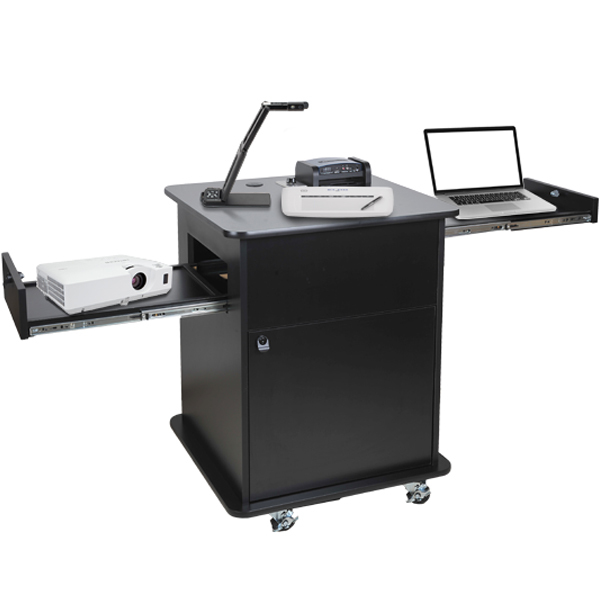 The ECARTLX-NP also includes an ELMO MX-1 Document Camera, a ELMO CRA-1 Wireless Tablet for annotation, and a CP-EW301N Projector.